Track your leads! Using your smart phone, download the lead retrieval app and scan the badges of the attendees you talk to at the show! After the show download your leads in an excel spreadsheet. Full attendee list will still be available after the show. Beware of exposition services scam. 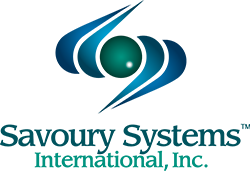 The only exhibitor services providing support to our event is the Rosemont Exposition Services (RES) as documented in the Exhibitor Kit. Do not use anyone outside of RES for the CSIFT Suppliers’ Expo. NEW LOOK! Burgundy / Black / Gray drapery and Tuxedo carpet (black and white twead). Carpet is included in the price starting this year! Finish out the day with a flourish by sharing drinks and a variety of tasty Hors D'oeuvre with industry friends and associates, from 5:30 PM to 6:30 PM. Order Electricity, Extra Table, etc. Registration opens for anyone to register beginning December 8, 2017. Registrations received after October 1, 2018 will not be included in the exhibitor guide - but will be included in the supplement. Ability to search for companies by product or service category. Login as a CSIFT member and then in the yellow menu bar there is a link to the search page. The booth reservation confirmation email includes a link to edit your own booth information. 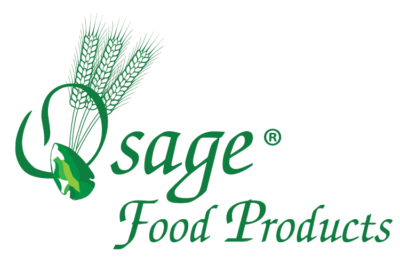 Here's a logo you can put in your signature for marketing. Carpet is included with all booths this year. 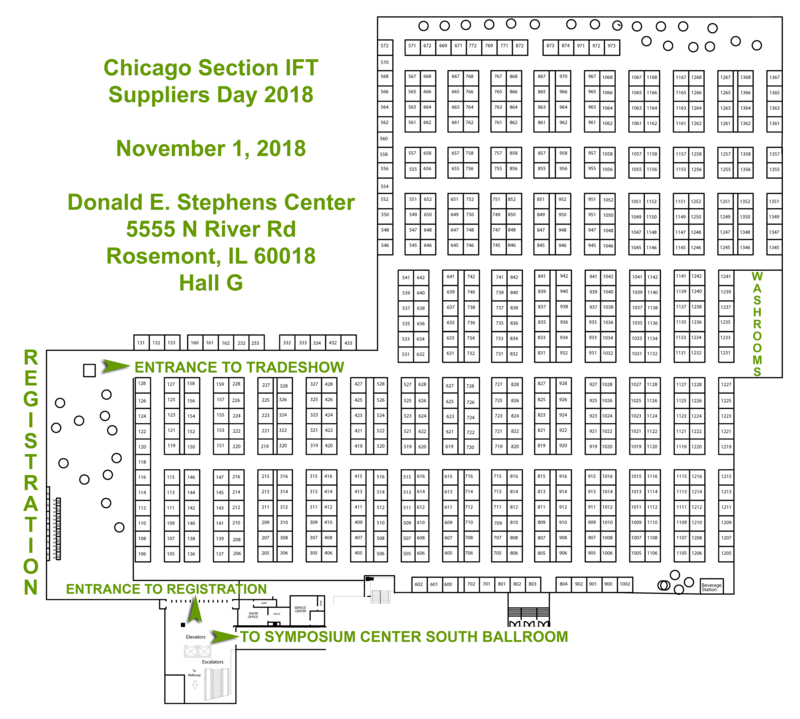 The Chicago Section IFT will provide a 10’x10’ pipe and drape booth area with two 4’ draped tables, two chairs, waste basket, and a standard booth sign. No refunds after July 1, 2018. No Exceptions! There is a limit of no more than 2 companies per booth. > Click here to view the Suppliers' Night floorplan. 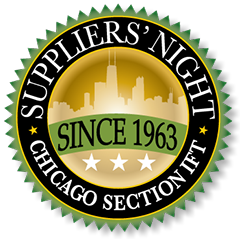 Thanks for supporting Chicago Section IFTs Suppliers' Night! Booths that are "green" are available. Booths that are "red" are already sold. Booths that are "yellow" are in process of being reserved. Booths can be held for 15 minutes and will be released if registration is not completed at the end of 15 minutes. If you want to reserve one booth you can either click on "Begin Booth Registration" or click on the green pin of the booth you'd like to reserve and "Click Here to Reserve" hyperlink. You will need to read and accept the payment terms to continue registration. If you accidentally exit the registration page you can continue registration by clicking on the booth icon on the map and supply the two words on the registration screen. You can also order carpet and electricity in the payment system.